The tight radius corner design, which allows for maximum sink space, is just one of the many exciting features which distinguish the MR Direct 3120D-16 ensemble. The equal-sized bowls allow plenty of room for any chore to be divided, or for two jobs to be handled at once. The luster of brushed 304-grade stainless steel offers beauty and the 16-gauge thickness provides durability. Sound-dampening pads reduce noise, insulation prevents condensation, and offset drains create extra upfront room under the countertop. 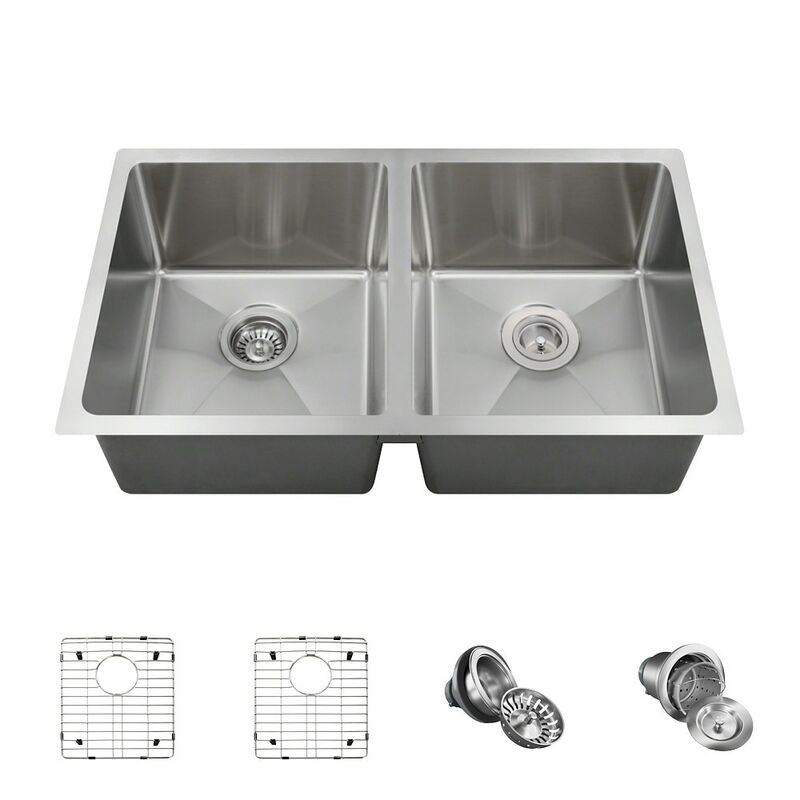 This ensemble includes two custom-fitted grids for each bowl to keep items off of the basin bottom, and both a standard and basket strainer to catch scrap materials.